Engaging students in establishing and tracking personalized learning goals and objectives is supported by the seventh of Robert Marzano’s (2007) high-probability instructional strategies – setting objectives and providing feedback. Careful crafting of student-friendly learning objectives can be extended and individualized by effectively targeting specific skill needs that can inform student goal setting and self-monitoring of progress. Continuing to build on this concept, Marzano (2010) cites the work of Fuchs and Fuchs (1986), noting a “26 percentile point gain” when students were able to visualize their progress on formative assessments. A variety of downloadable templates are available for developing learning goal contracts and daily lesson learning objectives, as well as progress monitoring. While these paper-based templates offer support, teachers might also consider using some of the new digital applications to extend this practice. The table below includes links to powerful digital applications and downloadable paper-based templates. Teachers who effectively employ any of these tools in their efforts to improve student outcomes will help move students toward becoming more self-directed learners. 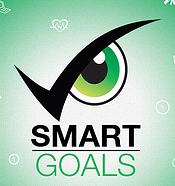 The SMART method of goal setting is a research-supported system for establishing and achieving goals. Goals are more easily attained if they meet five criteria: S-Specific, M-Measurable, A-Attainable, R-Relevant, and T-Timely. 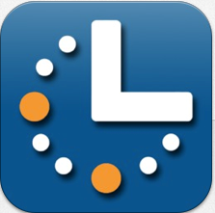 This application has a simple interface that includes goal filters, milestone tools, goal suggestions, notifications, visual progress tracking, and the ability to create accountability through social network sharing. Goals on Track is a service-based application that can be used for setting goals, taking action, visualizing, tracking time, building success habits, journaling, reviewing, and restarting the process. This application supports all major mobile platforms such as iPhones, Android, BlackBerry, Windows Phone 7, etc. It can also be accessed from the web. 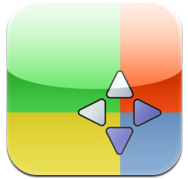 Chartdog Graphmaker is a free web-based application from Intervention Central designed to track the progress of individual students. Users can adjust the number of data points, set goals, view aim lines, compute the mean value of phases, compute the percentages of non-overlapping data points, view trend lines, and print reports. 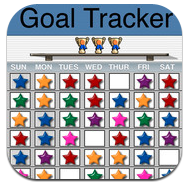 Goal Tracker helps students focus on daily tasks. It can be used to track good behavior, a set of chores, a daily routine, academic progress, or other personal daily goals. Goals can be adjusted to increase the level of challenge. Accomplishments can be tracked visually, and rewards can be set up as incentives for completing goals. Marzano, R. J. (2007). What will I do to establish and communicate learning goals, track student progress, and celebrate success? In Association for Supervision and Curriculum Development, The art of science and teaching. Retrieved from http://www.ascd.org/publications/books/107001/chapters/What-will-I-do-to-establish-and-communicate-learning-goals,-track-student-progress,-and-celebrate-success%C2%A2.aspx. Marzano, R. J. (2009/2010, December/January). When students track their progress. Health and Learning, 67(4), 86-87.